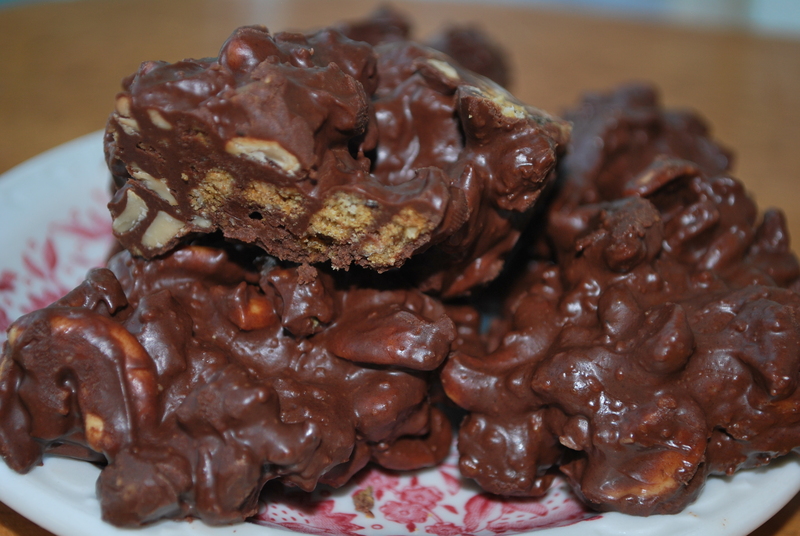 Clodhopper Inspired Cashew Clusters – Live. Simple. Good. 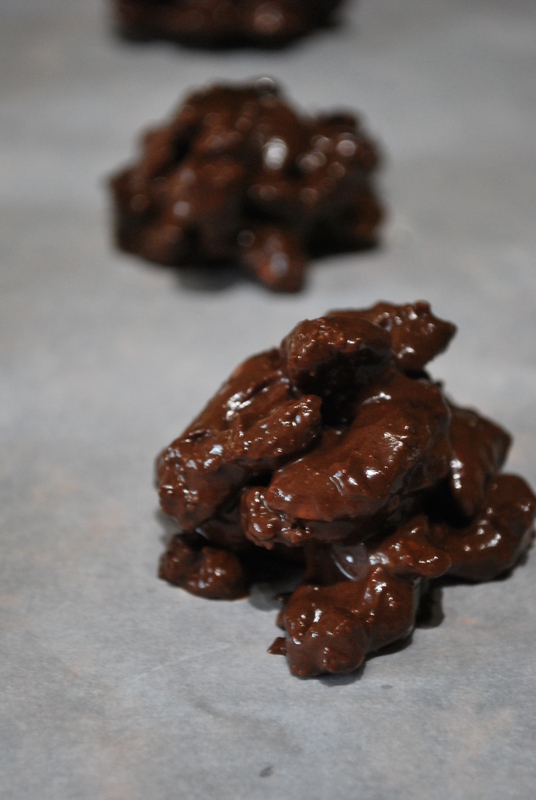 Today was National Chocolate-Covered Cashews Day – so I went in search of a recipe – and came across this one for Clodhoppers (which I have never had the pleasure of tasting). I thought I would give this a try – by using the ingredients in my cupboard. 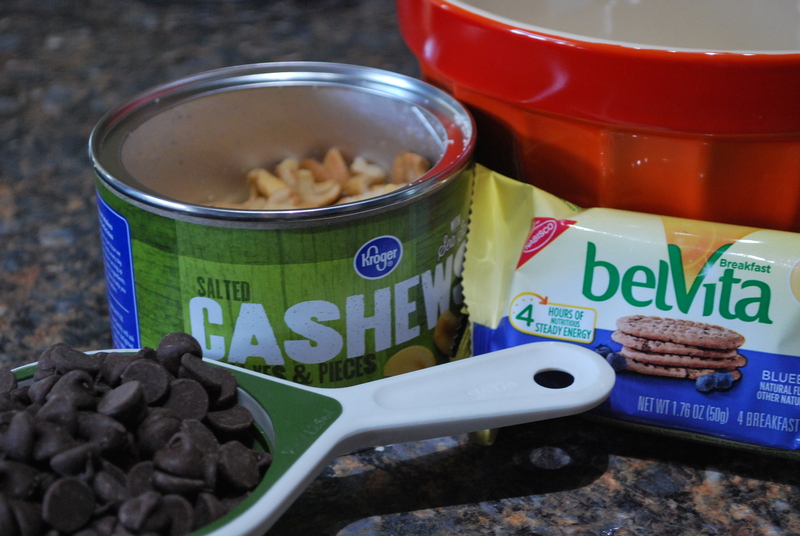 Smash up or use a food processor to coarsely chop up the Belvita Cookies. Put cookie bits in a large bowl. 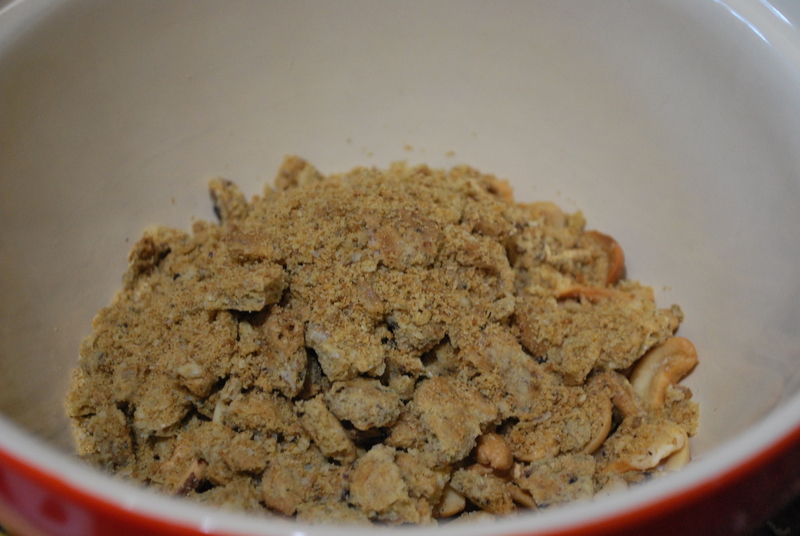 Add cashews, stir lightly to distribute. 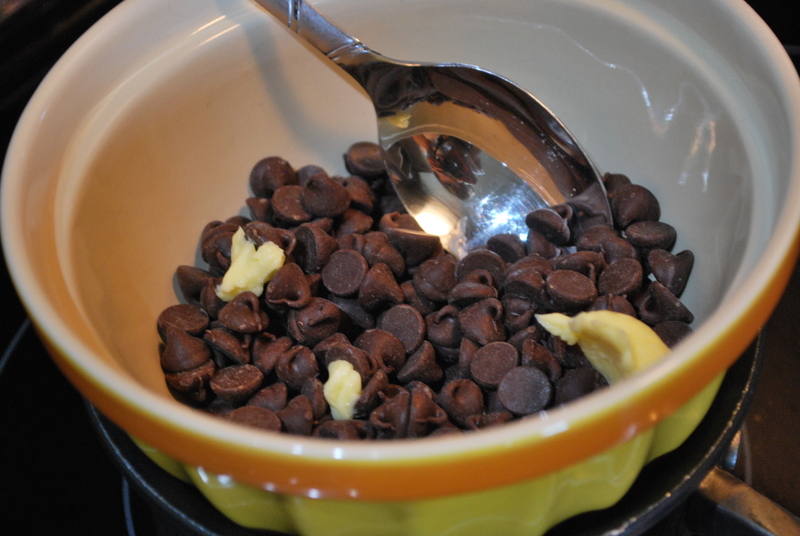 In a microwave safe bowl, melt chocolate chips – 45 second increments, stirring in between each. Or – as I do – simmer a pan of water and place a heat proof bowl on the top. Add chocolate chips and Crisco and stir until melted and smooth. 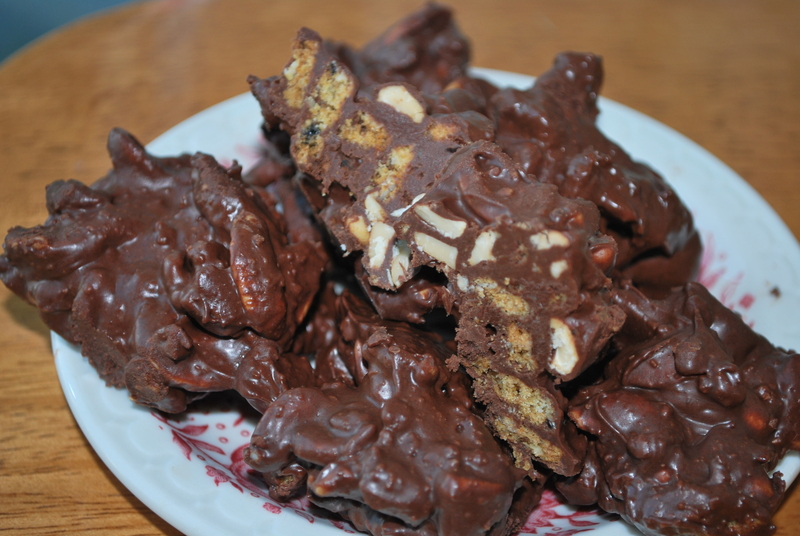 When chocolate is melted, pour over cookies/cashew mixture, stir well to coat everything. Turn mixture out onto parchment paper, spreading mixture out to form bite sized chunks. Pingback: Happy Chocolate-Covered Cashew Day | Live. Simple. Good.